A family-friendly haven with accommodations and activities that takes you close to nature is what Yum Kin Ecological Resort offers for guests of all ages. Have fun and marvel at nature as you enjoy the free spaces and facilities that provide comfort, excitement, and excellent food choices. Yum Kin Ecological Resort is the place for a unique and unforgettable experience. Beauty in simplicity is what our rustic cabins provide for guests who want relaxation and comfort minus the unnecessary frills. Bare walls and floors, wooden accents, and minimal furnishings allow for a refreshing stay that soothes the senses. Yum Kin Ecological Resort houses facilities and services that guarantee fun and convenience for guests, especially families. Get access to swimming pool, restaurant, park, camping area, sporting area, and aquatic activities. Superb service is yours courtesy of our beach club. We are located in Leona Vicario, which is just 41.8 kilometers from Playa Del Carmen in Valladolid, Mexico. 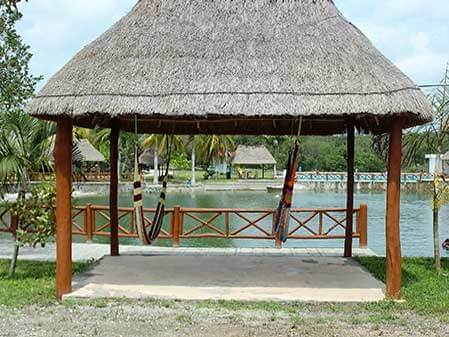 Puerto Morelos, Puerto Aventuras, and Cancun Airport are also near Yum Kin Ecological Resort. Our rustic cabins provide comfort and convenience you need for blissful relaxation while keeping you close to nature. Our dwellings feature bare rooms, minimal furnishings, wooden accents, and fantastic sunrise and sunset views. 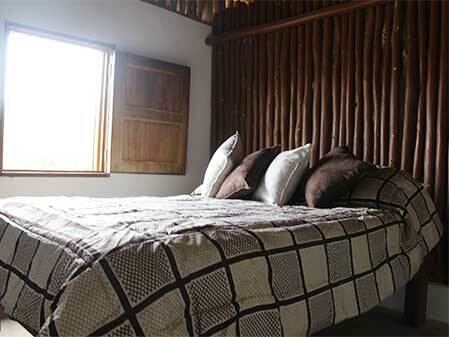 Enjoy the convenience of having electric fans, bathroom and towels, and hamac during your stay. Wholesome family fun that is also perfect for couples and other types of guests are what we provide here at the resort. We give you the luxury of having awesome outdoor adventure with excellent service courtesy of our beach club. 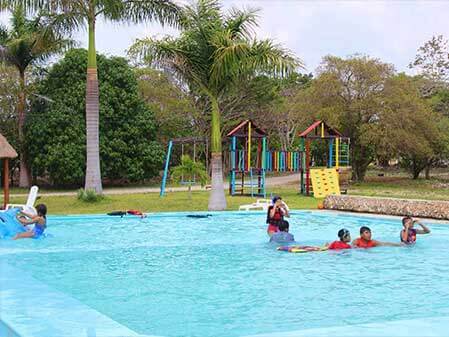 The resort has a swimming pool, restaurant, park, sporting and camping areas. Wi-Fi internet access is available all throughout the property. Yum Kin Ecological Resort is situated in Vicario, which is just 41.8 kilometers from Playa Del Carmen in Valladolid, Mexico. Puerto Morelos, Puerto Aventuras, and Cancun Airport are less than 50 kilometers away from the resort. If you need to get to places outside the resort, our highly efficient staff can help make arrangements for transportation.